The businesses in Historic Downtown Clarksville invite you to their Annual Downtown Open House and Small Business Saturday event this Saturday, November 25th, during regular business hours. The retail businesses are gearing-up for the holiday season and hope you will be among those who have pledged to “shop local” this year. Most businesses will be participating with special events, refreshments and door prizes. Food and drink will be served throughout the day. Support the Clarksville community and shop local for the holidays! Seasons specializes in local and regional artisans, featuring merchandise such as jewelry, pottery, art, toys and other unique items. Holiday Punch & Cookies served throughout the day. $20.00 OFF any $100.00 purchase! Enjoy free cookies and spicy apple cider while you browse unique and original art, and other inexpensive but quality Christmas gifts for your family and friends! 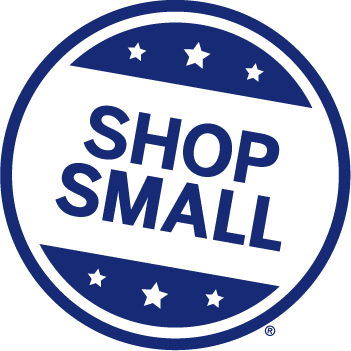 Come celebrate with us on Shop Small Saturday! Draw your own discount for any purchase! Serving Warm Cider and Sweets & Treats throughout the day! Come in from the cold and grab a bite to eat!